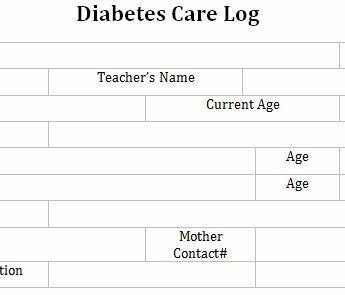 You can use the free Diabetes Care Log for School sheet to track and care for the students that go to your school and have diabetes. You need to make sure you have every precaution readily available for them. These records are just the thing you need to keep everything organized. Not only can you enter information for your students, but you can also list their parents contact information and the dosages of medication they need to take. If you’re ready to start organizing this important information for your school, then read the directions below for more information. Follow the link below to download the free template file. All you need to do to complete this template is enter the information that has been provided for you, in the blank space next to each item. The free template file has everything you need to list the needs of your students in a neat and organized way. After you have listed the name, birthdate, teacher’s name, and guardian information at the top, you can proceed to the record below. This is where you can list the incidences that have occurred over time. 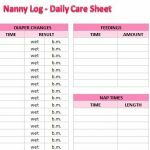 You can start to build a list of times they visited the school nurse. 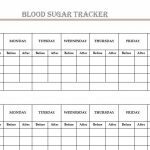 The template also gives you options to keep track of blood sugar and medication dosage toward the bottom of your screen. 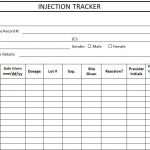 There is a small waiver that allows you to use the glucagon kit in case of an emergency. This template gives you the tools you need to properly manage the children in your schools that have diabetes. To print the sheet, just click the “File” button above and select “Print” from the list of options.